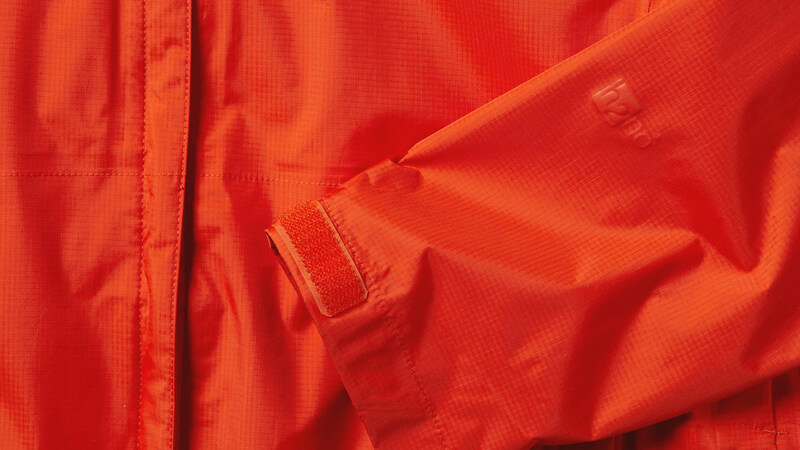 2-layer H2No™ Performance Standard shell fabrics are completely waterproof, windproof and breathable. They’re designed for a wide range of uses, from backpacking to skiing and snowboarding. 2-layer H2No™ Performance Standard shell fabrics utilize a taffeta or mesh lining rather than a bonded scrim to protect the waterproof/breathable barrier. The lining increases the garments wicking ability, durability and next-to-skin comfort. All products bearing the H2No™ mark have been vigorously tested for durability in our 24 Killer Wash, a process used to simulate years of use and abuse in a short period of time. This process consists of exposing the fabric to severe thrashing in a modified washing machine for a continuous 24 hours. H2No™ Performance Standard is Patagonia’s benchmark for waterproofness, breathability and durability, which ensures a high level of long-term performance backed by our Ironclad Guarantee. H2No™ Performance Standard products undergo the most rigorous testing in the industry. The H2No™ Performance Standard for waterproof shell garments is 20,000 MM before, and 10,000 MM after our Killer Wash test (per JIS L 1092 B).